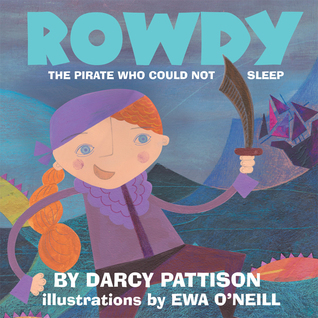 ROWDY: The Pirate Who Could Not Sleep comes out on June 1. One week away! To celebrate, we’ve set up a Goodreads Giveaway that will end – appropriately – on Father’s Day. The giveaway ends on Father’s Day. A rowdy heart doesn’t know what it wants or needs! When a rowdy pirate captain returns to port, she can’t settle down and sleep. She sends her crew in search of a lullaby. This is a great gift for fathers to read to their daughters. Here’s a video showing a father reading to his daughter. Watch Fathers Reading this book to their Daughters! Four brave fathers agreed to read this bedtime story to their daughters and tape the process. WARNING: You’ll find some sweet father-daughter moments in these videos!